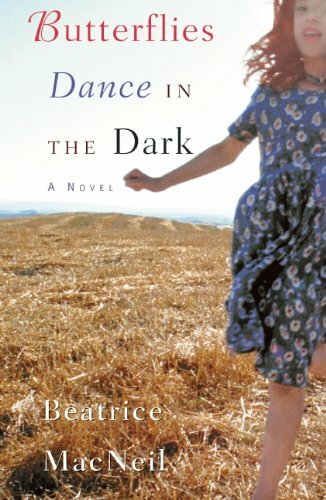 From the inside cover: "Set in an Acadian Village on Cape Breton Island in the 1950's, "Butterflies Dance in the Dark" is the haunting tale of a child's innocence, a mother's bitter legacy, and the transforming power of a young woman's love. The story is narrated by Mari-Jen Delene and follows her from age five to adulthood. Mari-Jen and her twin brothers are their mother Adele's mortal sins: all are illegitimate. On her fifth birthday, Mari-Jen wishes for a father. At school, the letters and numbers jump around and will not stay still on the page. It is hard for her to read or write or answer the increasingly sharp questions of a Mother Superior who has little sympathy for an illegitimate child. Mari-Jen slips increasingly into a protective limbo of silence. But at a crisis point in her life, Mari-Jen gets the help she needs and each step in her journey to adulthood is marked by her ability to reestablish her dialogue with the outside world...an eloquent story, profound and lyrical, a first novel of luminous beauty." This was a haunting story that I would highly recommend. It is a story of caring, of forgiveness, and the resilience of the human spirit. Placing this book into the Canadian Authors Bookbox #4. Enjoy! I can't wait to get started reading this one from the Canadian Author's Bookbox #4. It looks like a great read.